Welcome to our 2018 guide to Valley 4th of July Fireworks Events for the Carefree, Cave Creek and surrounding areas. Click on the links below to find out more information on each Independence Day Celebration. Most of these events offer free admission, although there may be a parking fee and fees for activities and food at the event. Some of these events you may need reservations or advanced tickets, so there is a cost for those. Please check the link for each event for additional information and costs. 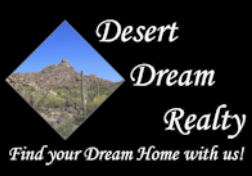 If you know of an event that is not listed or want your event listed, please contact webmaster@desertdreamrealty.com so we can add it. Fireworks have been cancelled do to dry conditions. Tuesday, July 3rd, 2018 - Harold's Cave Creek Corral 6895 E Cave Creek Rd. Come celebrate the nation’s birthday one day early with a barbecue, shaved ice, mobile game truck, and so much more! Outside BBQ and Bar opens at 5:30 pm! All outside food, drink, and activities are cash only! Park in the center of town, behind the Cave Creek Post Office, for $10! Shuttle from lot to Harold’s included. All proceeds benefit the Foothills Food Bank! Live music inside by Crown Kings kick off at 9 pm! Rebel Heart takes the outside stage at 7 pm! See website to purchase reserved seating. CELEBRATE THE 4TH OF JULY AT CIVANA CAREFREE RESORT! 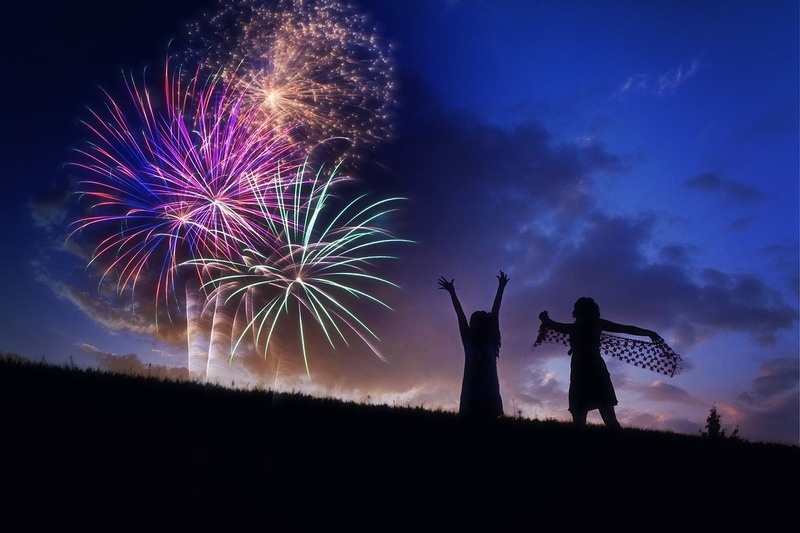 Wednesday, July 4th Show starts at 8:30 PM & 9:30 PM CIVANA Carefree Resort 37220 Mule Train Road, Carefree, AZ The Town of Carefree is pleased to partner with the CIVANA Carefree Resort to bring Carefree residents the Next Generation Fireworks display on July 4th. This display will feature a one-of-a-kind aerial light show featuring custom LED-lit drones. Celebrate freedom on 4th in the high Sonoran desert. Stay cool at the pool, engage in wellness classes, enjoy the BBQ & live music. Watch the night sky light up with our drought-friendly aerial light show on July 4th using cutting-edge drone technology. Shows start at 8:30 pm and 9:30 pm – open to the public, parking is limited. Not to be missed! For more information go to their website. Events are free unless noted. Make sure to visit the corresponding website for additional information and costs about each event. If you are going just for fireworks, contact the event to make sure fireworks have not been cancelled due to the dry conditions. June 30, 2018, 6:30 PM Deer Valley Park 19602 N 19th Ave - All are welcome to enjoy this free event. Grab your best picnic blanket and get out early to ensure a great spot to enjoy the live entertainment, let the kids play in the inflatable fun zone, grab dinner from the local food truck row, and get valuable information from our community resource booths. The highlight of the evening is a spectacular fireworks display, scheduled to start at approximately 8:45 p.m. For more information, call 602-495-3735. July 3rd, 2018 - 6pm to 10-pm @ ACC Community Park 41703 N Gavilan Peak Parkway - Thousands of people Valley-wide come together to celebrate the annual Anthem Independence Day Celebration. Along with the traditional fireworks display, fun rides, activities and festival food, families bring blankets and lawn chairs and sit back to enjoy the spectacular event. The annual event includes: Food vendors Water slides, rides and inflatables (see below) Music/dancing Fireworks finale Free admission and parking Puchase an “All-you-can-ride/bounce Bracelet” in advance at the ACC Community Center. Tuesday, July 3rd, 2018 - Starts at 5 pm - Fireworks begin at 9 PM Located on the southeastern shores of Lake Pleasant, conveniently adjacent to the Phoenix Metro area. Festivities begin at 5:00 PM with fireworks at 9:00 PM. Advanced Tickets available at website. Due to a construction project underway at Maryvale Baseball Park, this event will not be held in 2018. The event will return to the renovated facility in 2019. Maryvale Baseball Park 3600 N. 51st Ave Festivities, including inflatable rides outside of the stadium, begin at 6:30 p.m., and gates to the stadium open at 7 p.m. This is a free, family-oriented, non-alcoholic fireworks event that draws thousands annually. Attendees can enjoy a variety of food and refreshments available for purchase. Only sealed water bottles will be allowed in the stadium. The highlight of the program is the outstanding fireworks display, scheduled for approximately 9:10 p.m. For more information, call 602-262-6575. Wednesday, July 4, 2018 at 6 PM Day Events at Superstition Shadows Aquatics Center - -- Evening Events start at 6 pm @ Apache Junction High School.- Parking is limited so please come early. There will be traffic restrictions. Please plan for 20-30 minutes delays. The Fourth of July festivities are all located on School Property and no consumer fireworks, alcohol, tobacco, e-cigs, glass containers, pets or weapons will be allowed at the event or adjacent parking/viewing areas (bags and coolers brought into the facility will be checked). Food and drinks will be available to purchase on site. For more information on this program or other programs and services, please contact the Parks and Recreation Department at 480-983-2181 or visit our website at www.ajcity.net/parks. Visit their website for more details on the event. Wednesday, July 4th, 2018 - 6 to 9:30 pm @ Youngker High School 3000 S Apache Rd Buckeye - Come out for an evening of family fun and fireworks at the 2018 Old-Fashioned Independence Day Celebration. Live music from 7 - 9 p.m. There will be all-American eats and treats and activities. The Spectacular Fireworks get underway at 9 p.m.
Wednesday, July 4th, 2018 - 6:30 to 9:30 pm Fireworks at 9 pm - Tumbleweed Park 2250 S McQueen Rd Chandler 85286 - Parking $5 per vehicle - Please Note: Fireworks - of any kind - are not allowed at this event, in the park, or parking lots. --- Celebrate America and our heritage at this traditional fireworks show on Independence Night at Tumbleweed Park presented by the City of Chandler and produced by R-Entertainment. Wednesday, July 4th, 2018 - 6 to 10 pm @ Fountain Park 12925 N Saguaro Boulevard - Put on your red, white and blue and join friends and neighbors at Fountain Park on Wednesday, July 4, 2018 to celebrate Independence Day in Fountain Hills at our Fourth at the Fountain celebration! The festivities will kick off at 6:00 pm with music, kids bounce houses, and rock climbing wall. DJ Steve Grosz will keep the whole family moving and grooving with great tunes and prizes throughout the night. Fireworks is at 9:00 pm over Fountain Lake. For more info, visit their website. Wednesday, July 4th, 2018 - 5 to 9:30 pm - Westgate Entertainment District 6751 N Sunset Blvd. - Bring your blankets or lawn chairs and relax in Fountain Park and celebrate Independence Day with two music stages, a cool water zone, great eats from more than 20 restaurants & a pyrotechnic spectacular! Firework Fest is free & family-friendly with free & convenient parking available at all parking lots surrounding Westgate Entertainment District. See all the details at their website. Wednesday, July 4th, 2018 - 6 to 10 pm @ Goodyear Ballpark 1933 S Ballpark Way - Join us in celebrating Independence Day with an evening full of food, fun and music! See their website for all the activities, road closures and rules. Parking and admission are free. Wednesday, July 4th, 2018 - 6 pm to 8:30 pm with fireworks to follow. Fairway #1 Patriot Course of The Wigwam Golf Course. 300 E Wigwam Blvd - Come celebrate Fourth of July with us! This event includes live DJ entertainment, a Kids’ Zone with bounce houses & water slides, and a fantastic firework show!! Kids’ Zone is $10 for unlimited rides or $8 with active Military ID. Complimentary admission to the firework show on the first fairway of the Blue Golf Course. Visit their website for more information. Wednesday, July 4th, 2018 - 6 to 10 pm @ Mesa Amphitheatre/Mesa Convention Center complex 263 N Center St. FREE Event with fireworks approximately at 9:30 pm The "Coolest" Independence Festival in the State! Lots to see and do. Too much to list. Visit their website for all the information. Wednesday, July 4th, 2018 - Starts at 7 with fireworks at 9 pm @ The Phoenix Zoo 455 N Galvin Parkway There are admission fees to this event. See website for details. There will be plenty of family fun and exclusive access to the Zoo with fun activities for everyone. We will be serving up a classic summer BBQ and topping off the evening with a very special viewing of the Tempe Town Lake Fireworks Spectacular show at a “VIP” seating area in the back of the Zoo! Visit the website for more information. Wednesday, July 4th, 2018 - Gates open at 3 pm @ Westworld 16601 N Pima Rd in Scottsdale. Be red, white and COOL at Scottsdale 4th of July Celebration at WestWorld. It's a COOL family friendly patriotic wonderland INDOORS at WestWorld, expanded to entire 300,000 square-foot fully air-conditioned Tony Nelssen Equestrian Center that encompasses the North Hall, South Hall, and Equidome. So when we say COOL, we really mean it! There are fees for this event. See all the details at their website. Wednesday, July 4th, 2018 - Gates open at 4:30 pm, game starts at 5:30 pm @ Surprise Recreation Campus 15850 N Bullard Ave. Free Admission with a canned food donation. Fireworks after the game approximately at 8:30 pm. See the website for all the details. Wednesday, July 4th, 2018 - Gates open at 5 pm. - Tempe Beach Park General admission tickets are needed for this event. Pre-sale tickets will be honored all night and on-site ticket sales will stop when the park reaches capacity. Children 12 and under are FREE. Entry is free for anyone showing an active military ID. Visit their website to purchase tickets and additional information. Wednesday, July 4th, 2018 - Starts at 4 pm @ Veterans Park 8601 W. Van Buren St. Free admission, but there is a cost for food and drinks. -Come and celebrate Independence Day with the City of Tolleson at Veterans Park. This is a FREE event with an amazing firework display. For more information about our 4th of July event please call Parks & Recreation at 623-474-4992 or visit their website.